SINGAPORE — Picture this: For an hour and a half, you’re floating inside a futuristic-looking water-filled pod contraption in utter darkness and silence. When faint music slowly signals the end of the session, you emerge completely refreshed. Are you up for some floatation therapy? 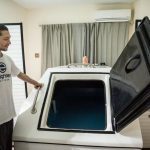 While not exactly new — having its roots in the isolation tanks of the 1950s in the United States — the idea of floating inside these sealed pods to de-stress has loyal, blissful followers in Singapore. And these days, they’ll be found at Palm Ave Float Club. 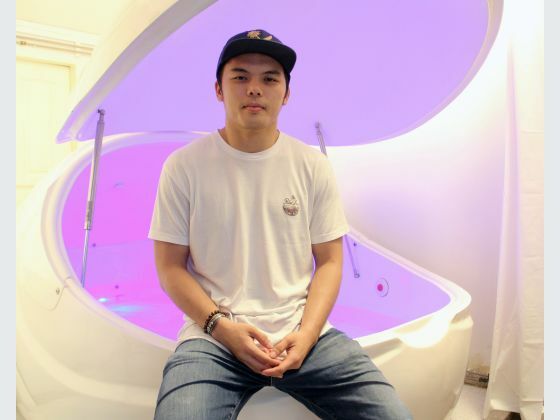 The float centre is the brainchild of Derrick Foo, who got hooked on floatation therapy in 2013 and bought one for himself. After initially running a small business with one pod from home (to cover the cost of the pod, which is US$20,000 apiece), he decided to expand. He now has a team of six and his Warangin Park centre now has four pods. He’s also planning to open a second branch by the end of May at 66 Kampong Bugis in Lavender, after taking over the pods from the recently-closed Float House Singapore at Novena Medical Centre. So how does it work? Each pod is filled with clean water and 600kg of Epsom salt to make it extremely buoyant. You then enter it (naked or in swimming costumes) and let the sensory deprivation experience begin. “The clarity of thought that floating gave me made me more productive. I also felt more creative in a way — I shoot my ideas down less often,” Foo recalled of his first experience. Another side-effect? He was so zen, he quit smoking. An hour-long float session costs S$90, comparable to a massage, while S$110 lets you float for an hour and a half (there are also introductory and five-float packages which are shareable). His clients have been a mix of Singaporeans and foreigners, and come from different backgrounds. 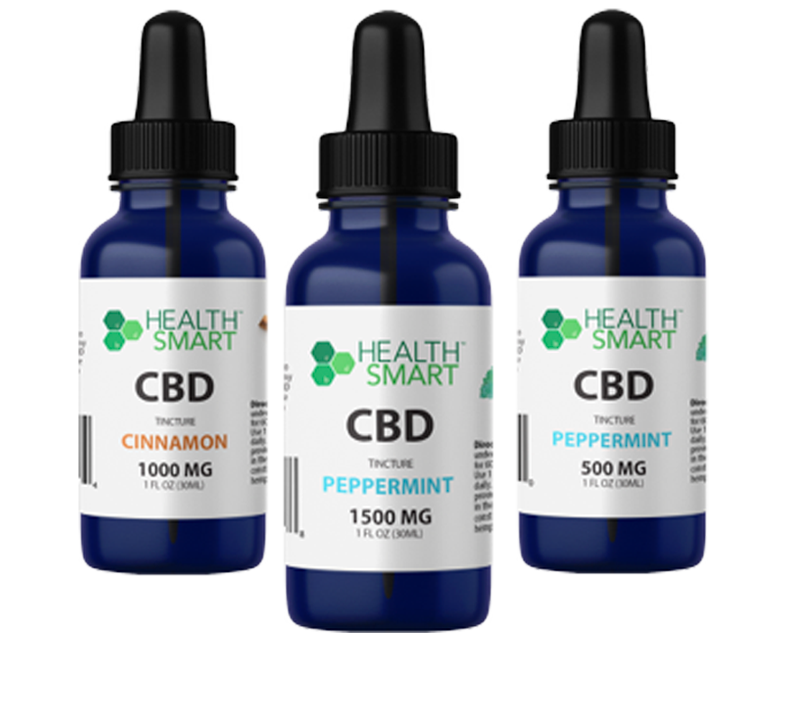 Initially they had people who were into mixed martial arts (for a long time, floatation therapy has been popular among athletes who want to increase their rate of recovery — among its more famous current proponents is NBA star Stephen Curry and even Wayne Rooney owns a tank). These days, Foo said the clientele has expanded to include people from the finance, law, creative, tech and education sectors — in other words, people with really stressful jobs and busy lifestyles. “Majority of people float for that mental aspect — someone who’s starting a new project might come in to clear his mind. One guy, who’s a banker, comes every week because he says he holds a high position in the finance sector and it’s important for him to keep a clear mind when making important decisions,” said Foo, who adds that the effects — having a clearer mind — can last for a week. And if you practice meditation, he reckons that’s an additional couple of weeks more. But that doesn’t mean it can take the place of meditation. “I wouldn’t dare call it a replacement, but it’s something that helps people enter a meditative state faster. 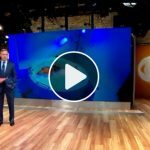 You shouldn’t use floatation as a crutch,” he said, adding that people have told him that those who float find meditating easier to do, because they already know the state they’re trying to reach. “Singapore is really a stressed out city and it’s good to have this one thing that helps people slow their thoughts down and appreciate the fact that they’re alive,” said Foo. Q: Since you’re sealed inside the pod, does it get claustrophobic? Q: How clean is the water? A: We can assure you, our water is cleaner than that of a swimming pool’s. We don’t use chlorine but hydrogen peroxide. We also use a filtration system and a UV sterilization system. Plus, with all the salt, it’s a pretty sterile environment to begin with. Q: What if I can’t swim? A: With the amount of salt used, it’ll take some effort to sink in this water—and we constantly check the buoyancy levels. Q: So do we swim naked or not? A: It’s a personal preference. Most people, after trying out both, prefer to be fully naked. You’d want to remove as much stimulation on your skin, which might be a source of itch.